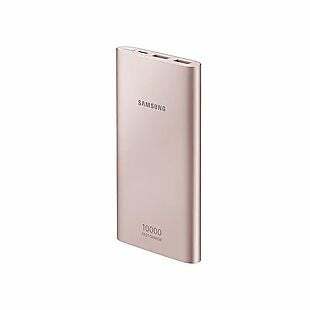 The Samsung 10,000mAh Portable Battery with a micro-USB cable drops from $34.99 to $15.99 with free shipping at Samsung. This is the lowest price we could find for one of these power banks by $10. They have dual USB ports, so you can recharge two devices simultaneously. Sales tax is charged in most states. 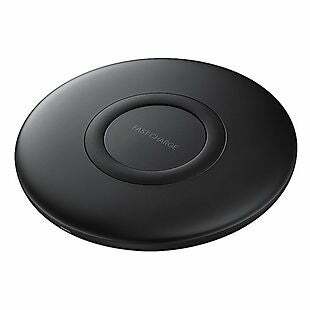 Get this Samsung Wireless Charger Pad Slim for $14.99 with free shipping at Samsung. This was the best price we found by $20. This can wirelessly charge Samsung phones and other Qi-enabled devices, such as the new iPhones. It's also compatible with Samsung's fast-charge technology. Sales tax is charged in most states.